The Zenna Home PEVA Shower Liner helps keep water inside your tub or shower instead of on your bathroom floor. Use on its own or pair it with a decorative shower curtain. Features include plastic grommets at the top to prevent shower hooks or rings from ripping the liner. A weighted magnetic hem holds the liner's bottom against the tub or shower so water stays inside. 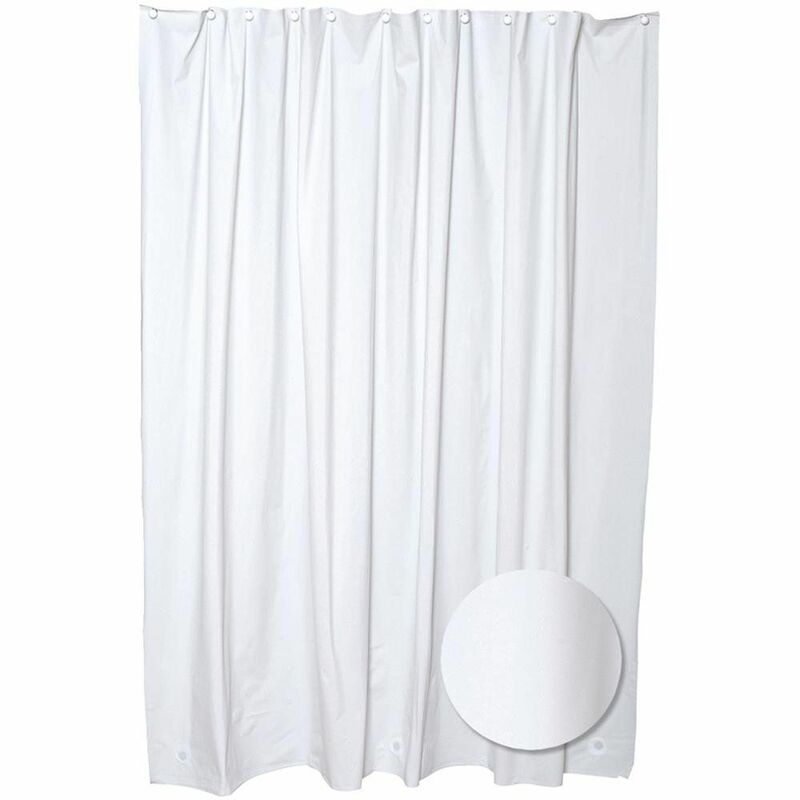 70 Inch W x 71 Inch H PEVA Shower Liner in White The Zenna Home PEVA Shower Liner helps keep water inside your tub or shower instead of on your bathroom floor. Use on its own or pair it with a decorative shower curtain. Features include plastic grommets at the top to prevent shower hooks or rings from ripping the liner. A weighted magnetic hem holds the liner's bottom against the tub or shower so water stays inside.